Katyayanasrautasutra belongs to the White Yajurveda which is very popular in northern India. 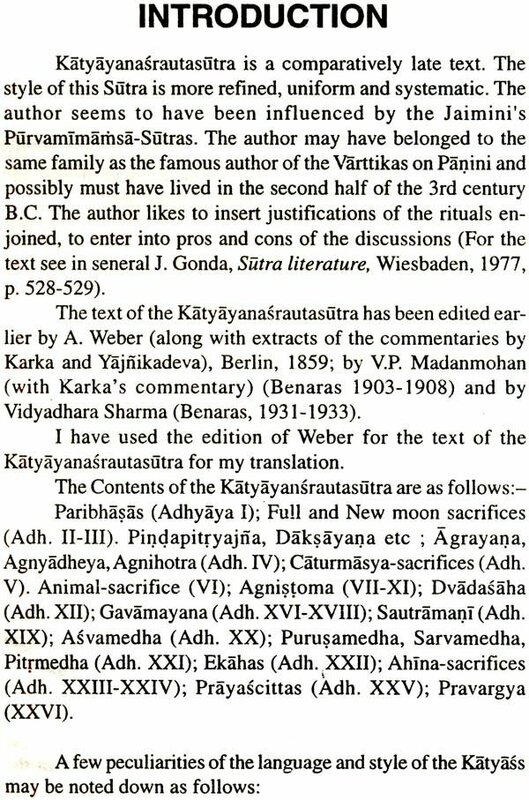 Katyass is a comparatively young text among the numerous Srauta-Sutras. 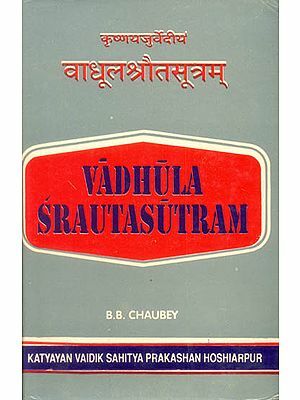 The Srautasutras deal with the solemn sacrifices like Agnihotra, New and Full-Mon-sacrifices are included the famous sacrifices like Agnistoma, Vajepeya. Asvamedha and many long sacrificial sessions. 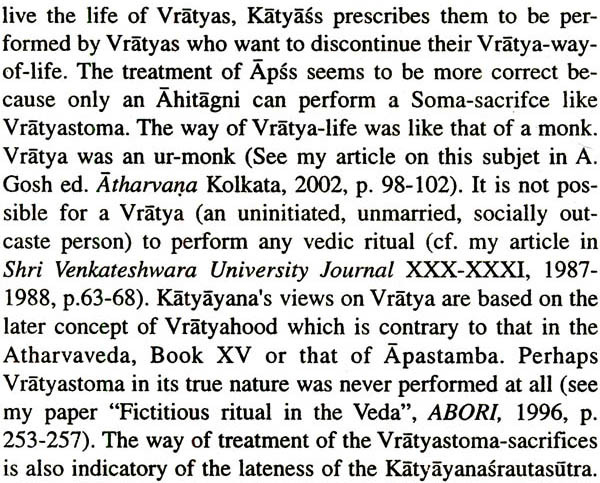 Katyass deals with these Srauta sacrifices in a systematic manner. 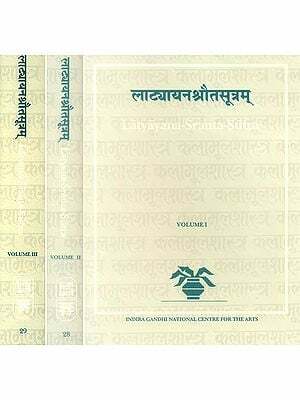 For religions and cultural studies on ancient India the text is very important and useful. 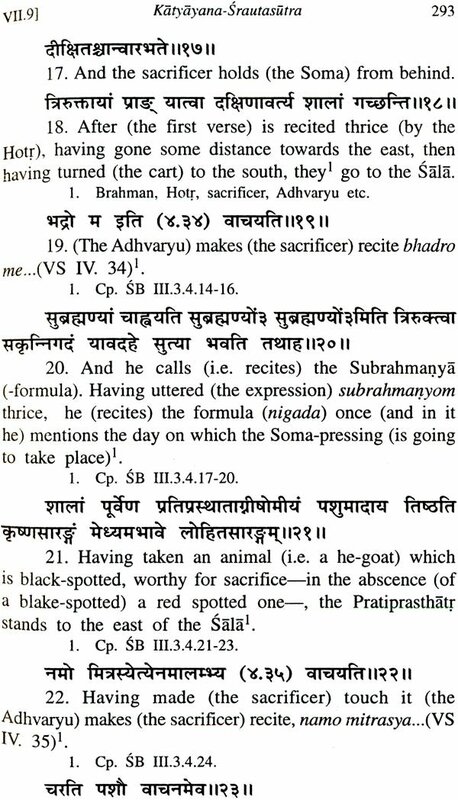 The Vedic rituals are rather neglected by Sanskrit scholars. 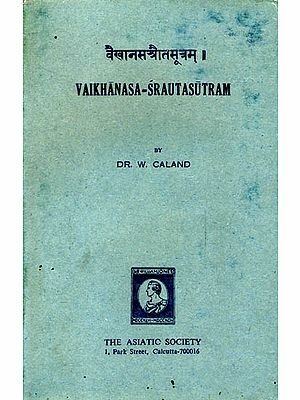 The present text along with translation and notes will make ritualistic studies more possible on the part of scholars. 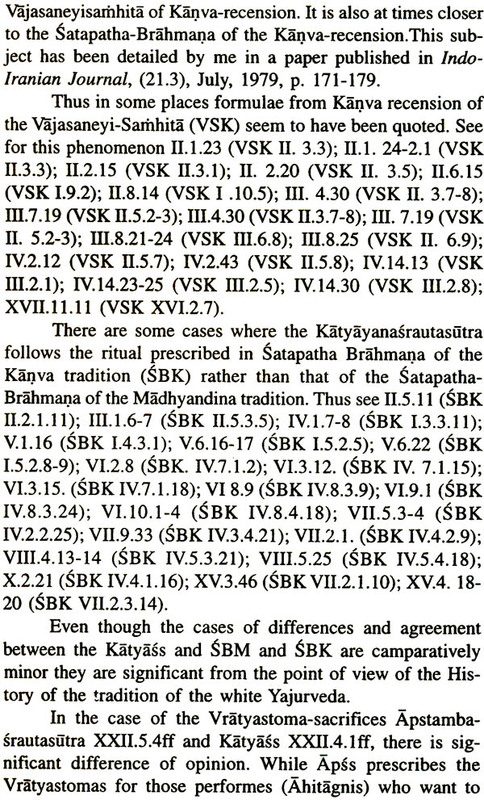 1) In India there is both Veda-pramanya and Pramanavedatva. 2) Vratya was an ur-monk. The Vratya-Stoma sacrifices were to be performed in order to become a Vratya and not to be free from Vratyahood. 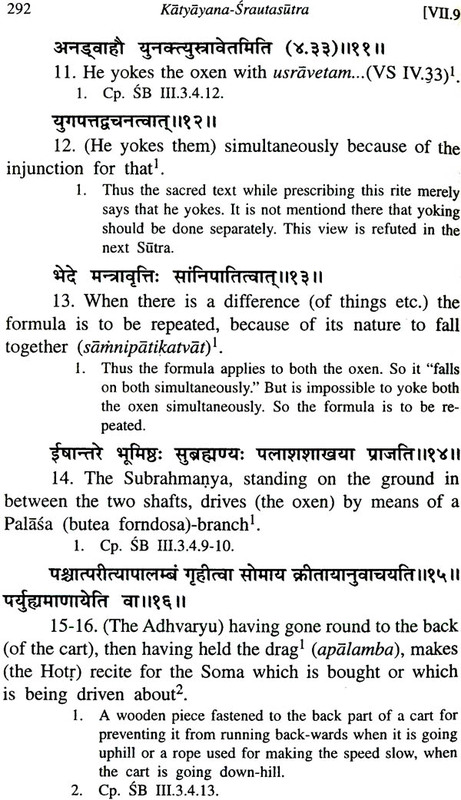 3) There is no word for "nation" in Sanskrit. The world "Rastra" means state and not nation. 4) Sanskrit and Computer do not require each other for their existence and development. 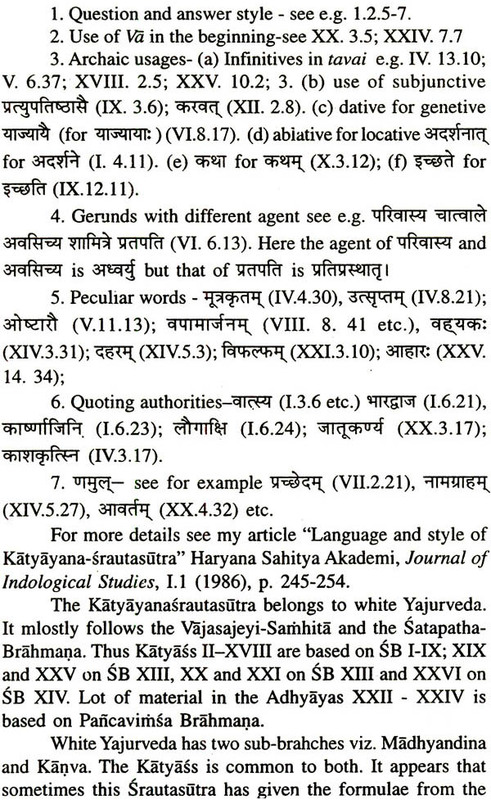 5) Modern Sanskrit Poetry has not basis of Pratibha and therefore does not deserve to be taken seriously. 6) There is a revival of voyeurism and exhibitionism in Vedic rituals. 7) Modern period of Indological Studies is a decadent period where all freshness is lost. All the subjects of research in Indology are exhausted. Rules about Extension (atidesa) etc. Agni - Upasthana, Pravasadagnihotra etc.